Karaite scholar and poet; lived at Chufut-Kale, in the Crimea, in the eighteenth century. He was the author of a work entitled "Darosh Darash Mosheh," twenty-four treatises on various subjects (comp. "Oraḥ Ẓaddiḳim," p.23a). 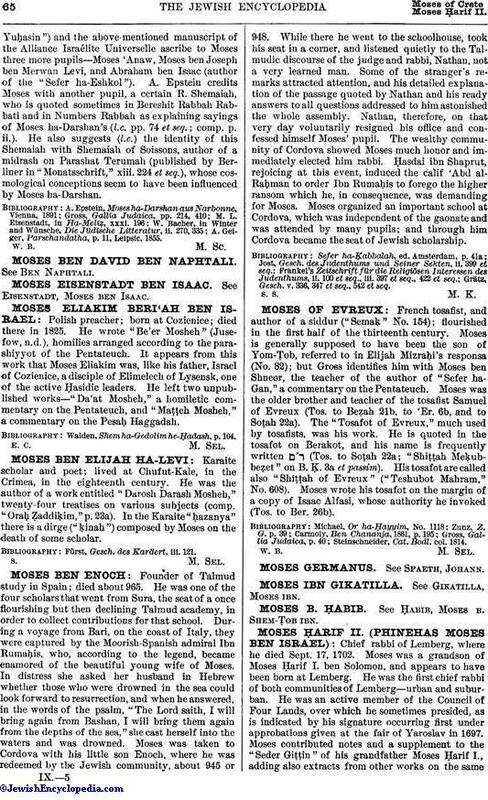 In the Karaite "ḥazanya" there is a dirge ("ḳinah") composed by Moses on the death of some scholar. Fürst, Gesch. des Karäert. iii. 121.